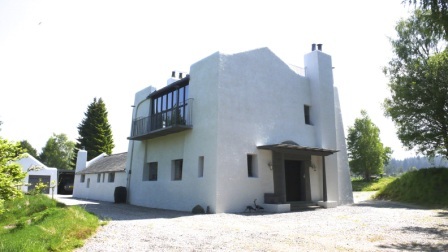 A stunning Charles Rennie Mackintosh designed house in an idyllic rural setting has been placed onto the market through CKD Galbraith's Inverness office. 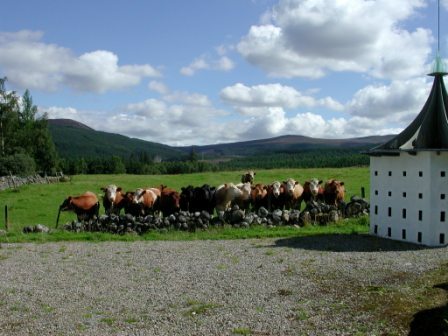 The Artist's Cottage is a unique home located in beautiful Strathnairn, a glen lying just to the south of Inverness and bordered by the Monadhliath Mountains. 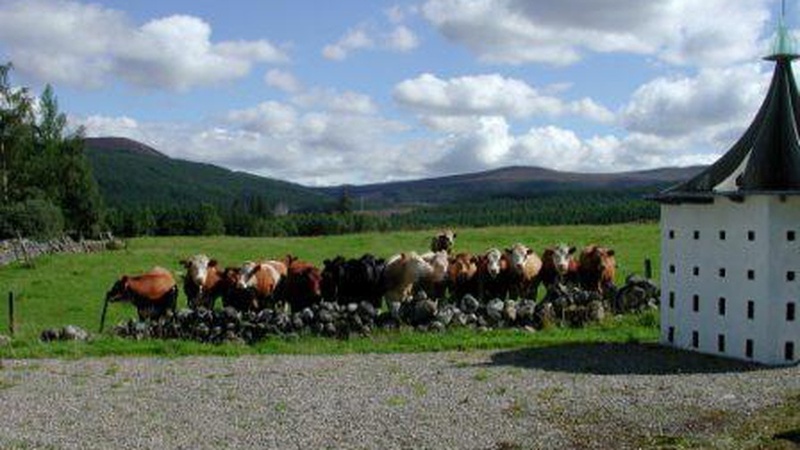 The property sits in grounds of about 1.2 acres and its central position in the heart of the Highlands is an ideal place from which to discover the beautiful countryside. In 1900 the Glasgow-born architect. Charles Rennie Mackintosh prepared drawings for this ' dream house ' however, it wasn't until 1992 that this house was constructed. The plans and elevational drawings are held in the Hunterian Art Gallery in Glasgow and it is from this original material that the working drawings for this project were produced. 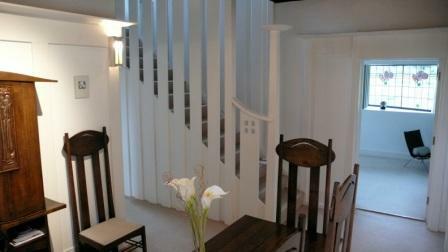 The house has strong sculptural presence in the highlands with the Mackintosh theme continuing inside. The interior design, which is both sophisticated yet understated at the same time, features white painted walls and Mackintosh designed staircase and decorative windows throughout. The Artist's Cottage offers spacious accommodation over two floors with four bedrooms on the ground floor (three en suite), a modern kitchen, dining hall, sitting room, study area and utility room. The decorative design continues on the first floor which boasts a galleried landing, an impressive master bedroom/studio with en suite dressing room and shower room and another en suite bedroom. Designed with the artist in mind, the impressive studio room benefits from the penetrating north light and from here there is access to the balcony and the roof-top terrace offering truly spectacular views. Phiddy Robertson, handling the sale for CKD Galbraith, said: "The Artist's Cottage is a charming and spacious property which represents a rare opportunity to acquire a unique home whilst tapping into a piece of artistic history. "Renowned for his striking design, Mackintosh famously argued that construction should be decorated and decorations should not be constructed. There is clear evidence of his philosophy in this property with its clean lines and uncluttered spaces. "Given its location, iconic design and associated history, The Artist's Cottage should appeal to a wide range of potential buyers." Moving outside, the grounds extend to 1.2 acres and are laid mainly to lawn interspersed with mature trees and shrubs. There is also a barbecue bothy which has a small fireplace and veranda located in a commanding position to take full advantage of the spectacular views. The house lies a mere 12 miles south of Loch Ness and Inverness and is on the outskirts of the friendly village of Farr, popular for its attractive setting in Strathnairn, highly regarded local school and easy access to Inverness and the A9. With golf courses, fishing and hill walking, bird watching and snow sports opportunities all on its doorstep, this property is the perfect location for outdoor enthusiasts. The Artist's Cottage is on sale at offers over 595,000 through our Inverness office.